See the famous “Into The Wild” Bus along the Stampede trail. 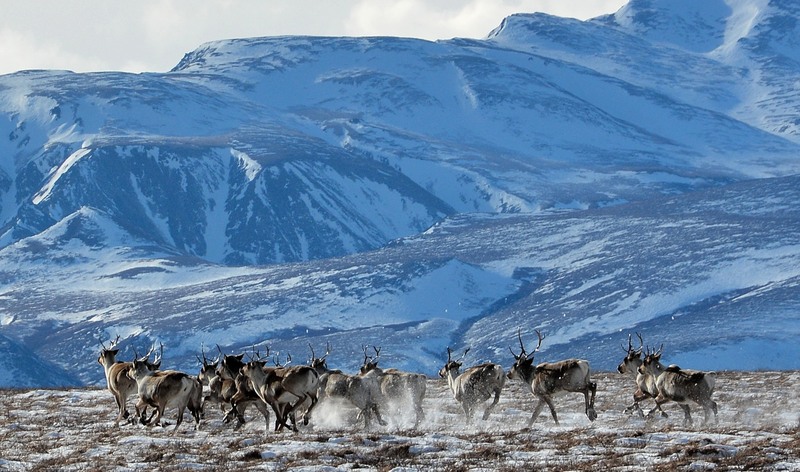 Experience Denali National Park in Winter! 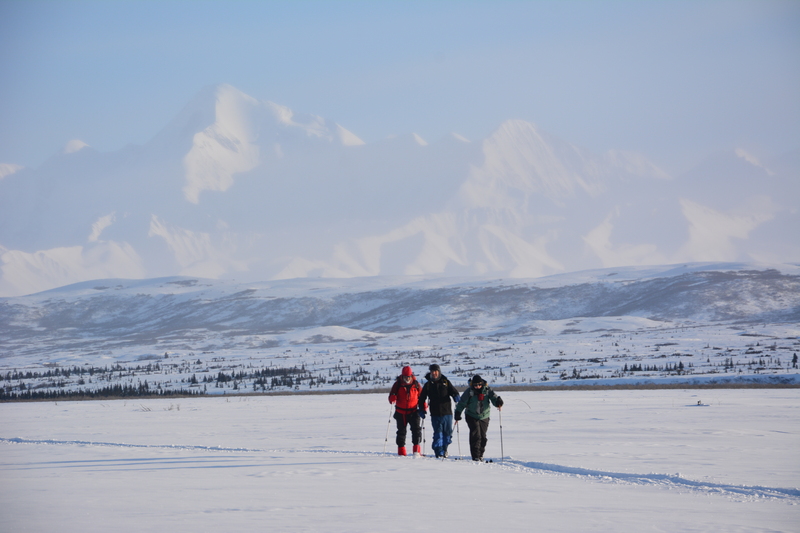 EarthSong Lodge and Denali Dog Sled Expeditions is a concessionaire licensed to operate overnight trips in the heart of Denali Park Wilderness, the only guides that can mush you to spectacular Wonder Lake and the park road corridor. 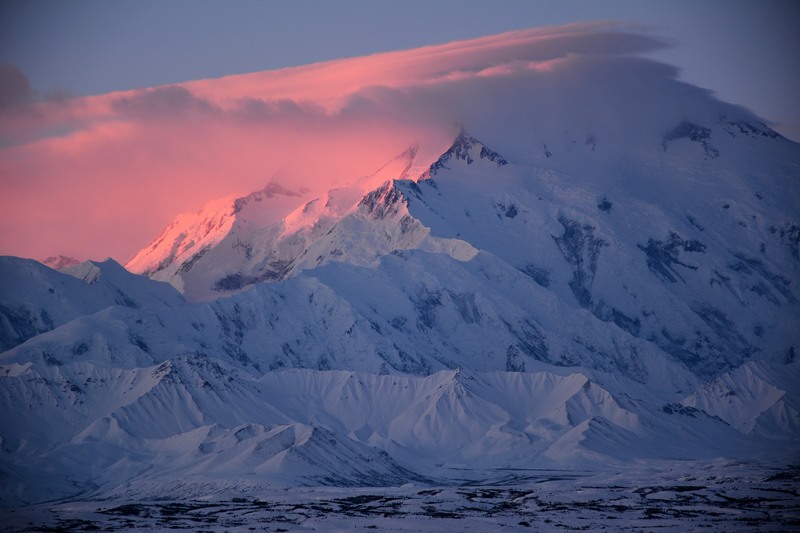 No one else can get you closer to the spectacular North Face of Denali. We specialize in bringing travelers to Interior Alaska and Denali Park face to face with the Alaska they have come so far to see. Our trips are fully interactive. 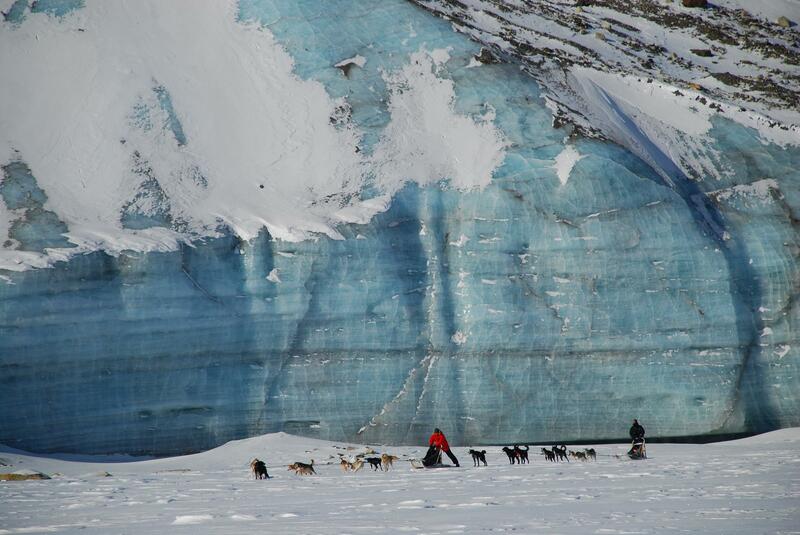 You will mush a dog team deep into the heart of Alaska’s most sacred place – Denali National Park in the Winter. 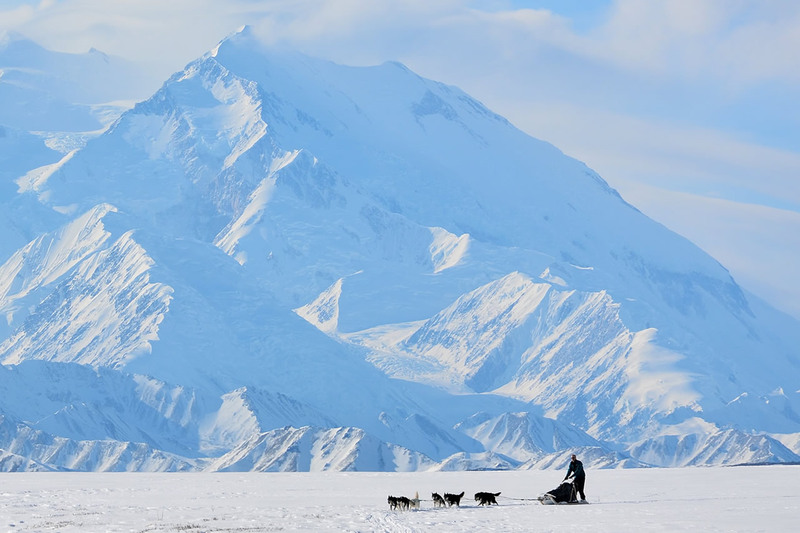 Denali National Park provides many options for dog sled travel. From river bars and mountain passes to the Alaska Range glacier system, you will see a piece of wilderness most people will only see in the pages of magazines and books. 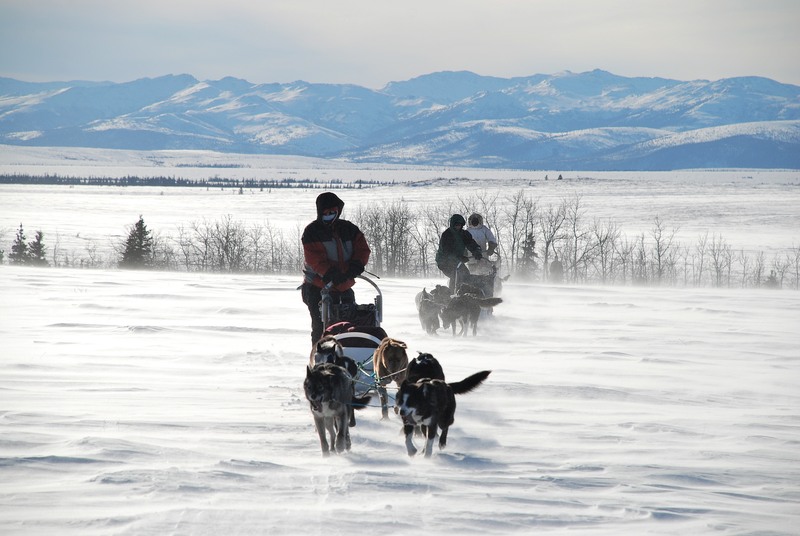 For trip dates and rates, see our Dog Sledding Schedule. Northern lights over Denali National Park. For detailed information about our dog sledding trips, be sure to read our Dog Sledding Q&A and see what other guests’ experiences were like in our Dog Sledding Stories. We also offer cross-country ski expeditions and spring mountain climb support in the Alaska Range. Our trips are for guests with skill levels from beginner to advanced. From overnights in our cozy cabins with basic sled dog demonstrations to 7-day backcountry adventures, EarthSong Lodge can cater to your Alaskan adventure vacation. Our winter business now has exclusive use of all Denali National Park Huts, along with two cabins at Wonder Lake, for dog sled passenger trips and cross-country ski-support trips.